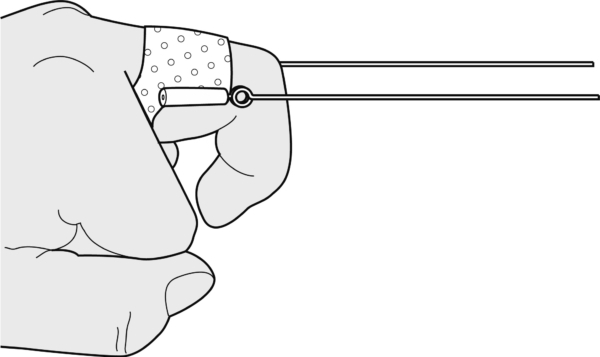 Stick the finger through the slit of the splint pattern in a downward direction. 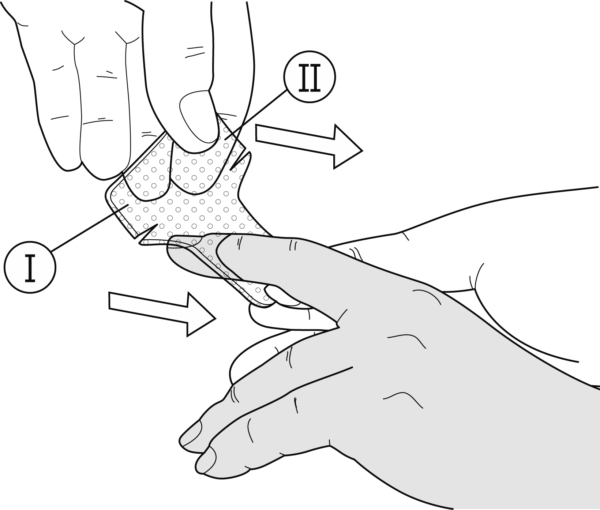 Fold the side edges inwards at the level of the palmar section. Make a ring out of Orfit Classic to stick the Orfitube to the splint base and attach the elastic with finger sling as described earlier. 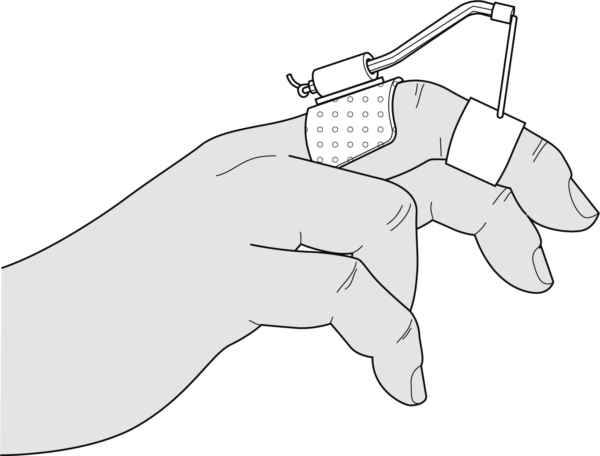 Push the finger through the slit of the splint in a downward direction. 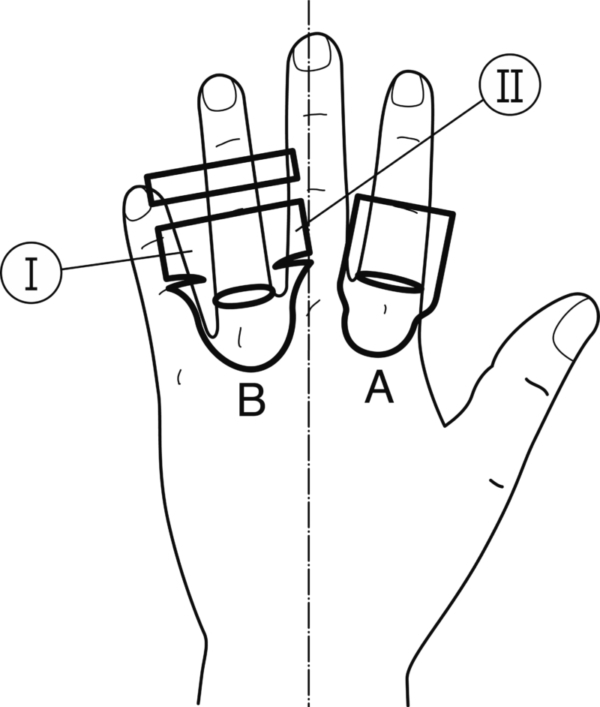 Fold the lateral edges inwards at the level of the palmar section. 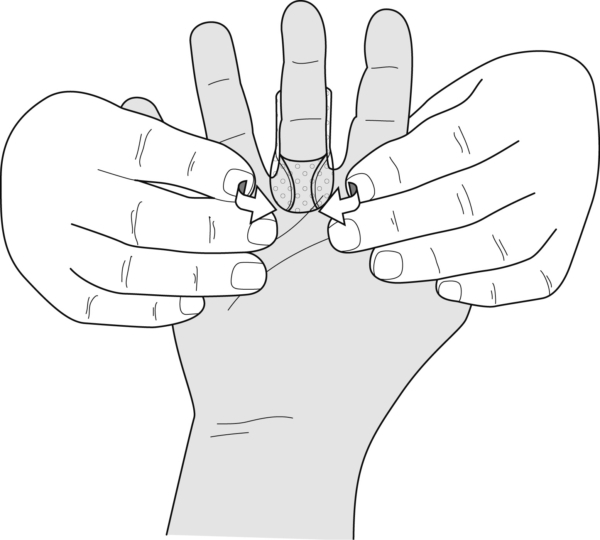 Mark the joint axis and align the lateral extension spring accordingly. Heat the wings I and II and fold them upwards while the spring is held in place. 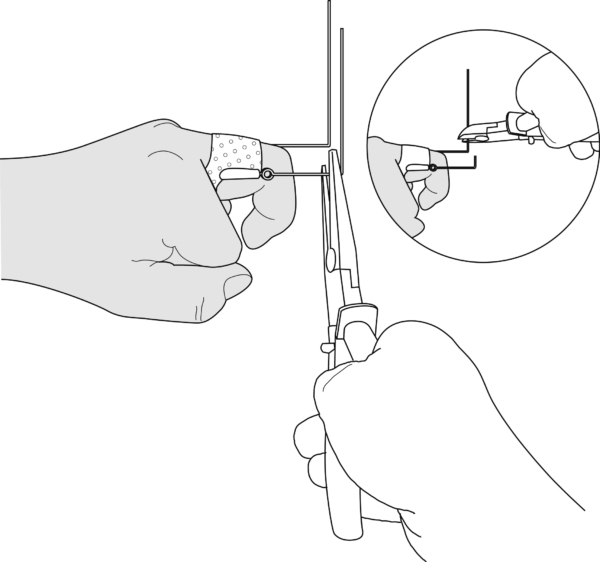 Bend the arm of the spring at the desired length (reaching the PIP joint) and trim the excess. Make a dorsal bridge, distal to the middle phalanx, and stick the edges around the spring wire.